1. 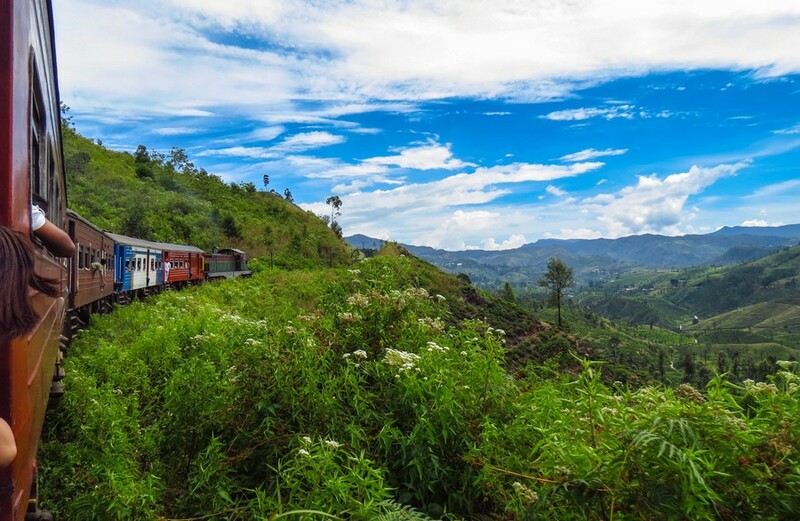 You will enjoy the beautiful view of the train and outdoors passing through the Ella mountains and forests in Ella of Sri Lanka. 2. The Kelani river derived from Nuwara Eliya Mountain is considered as the lifeline of Colombo. Nuwaraileya is a hill town situated on an altitude of 2000 meters above sea level. Nellu flower, which once blooms once in fourteen years, named this place named Nuwara Eliya. It’s one of the most beautiful spots in Sri Lanka. 3. Pinhavala Elephant Orphanage from this place in Sri Lanka, you will not want to come back quickly because enjoying the feat of elephants and their children will give you a different experience. 4. Polonnaruva is the only fun to look at the things of the old time and you will get a chance to be very impressed with such a lot of things. 5. 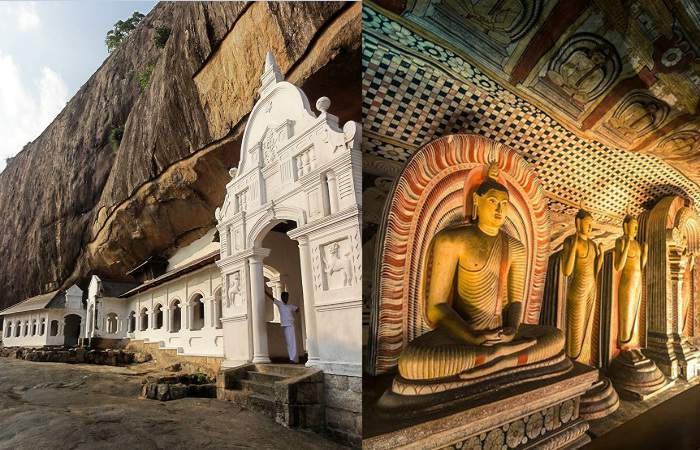 Dambulla Kev Temple In this temple of Sri Lanka you will find amazing views of the artwork. There are 150 statues of Lord Buddha present here. 6. Adamas Peak is one of the most beautiful places of Sri Lanka, Adams Peak, and if you want the beauty of the rising sun, then go to the place at night and place the camp here. This place has been made part of the UNESCO World Heritage Site. 7. The Old Dutch Fort is looking for a relaxing moment in the afternoon, a better moment than watching the sea from the Old Dutch Fort cannot be anything else. 8. Sigiriya or Sinhagiri Rock is an ancient rock fortress and is one of the most beautiful spots in Sri Lanka. 9. Kandy and the Temple of the Tooth – Located in the middle of the island, Kandy is the second largest city in Sri Lanka and the last ancient Kingdom capital. It’s the home to the most religious Buddhist temples in the world, the Temple of the Tooth. A spectacular festival of the Tooth between July and August is celebrated with amazingly adorned elephants, fire eaters, enthusiastic dancers, drummers, and stilt walkers. It’s one of the best places to visit in Sri Lanka. 10. 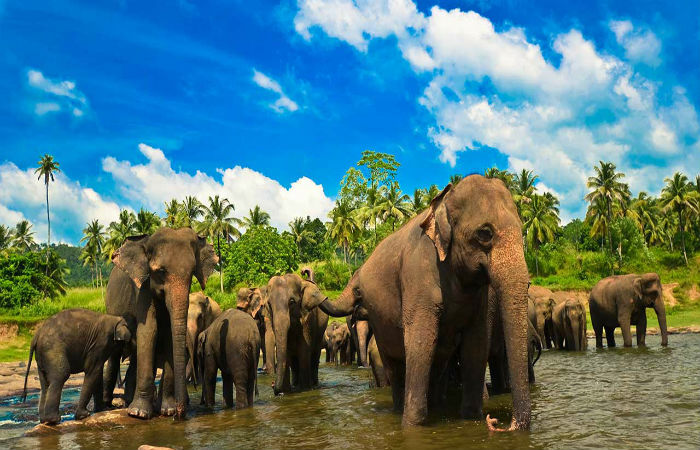 Yala National Park is the nation’s wildlife paradise which is one of the best places in Asia for witnessing wildlife. 11. Arugam Bay is a beautiful bay located in the dry part of Sri Lanka and it’s also famous for being one of the best surf spots in Sri Lanka. Also, visit the town’s ancient temples or the nearby Kumana National Park. 12. Mirissa is a tiny beach village which is one of the best beach towns in the country. 13. Polonnaruwa is the architectural centre of the country. You’ll see the archaeological park with hundreds of ancient structures like tombs, temples, statues, and stupas – in a compact base.